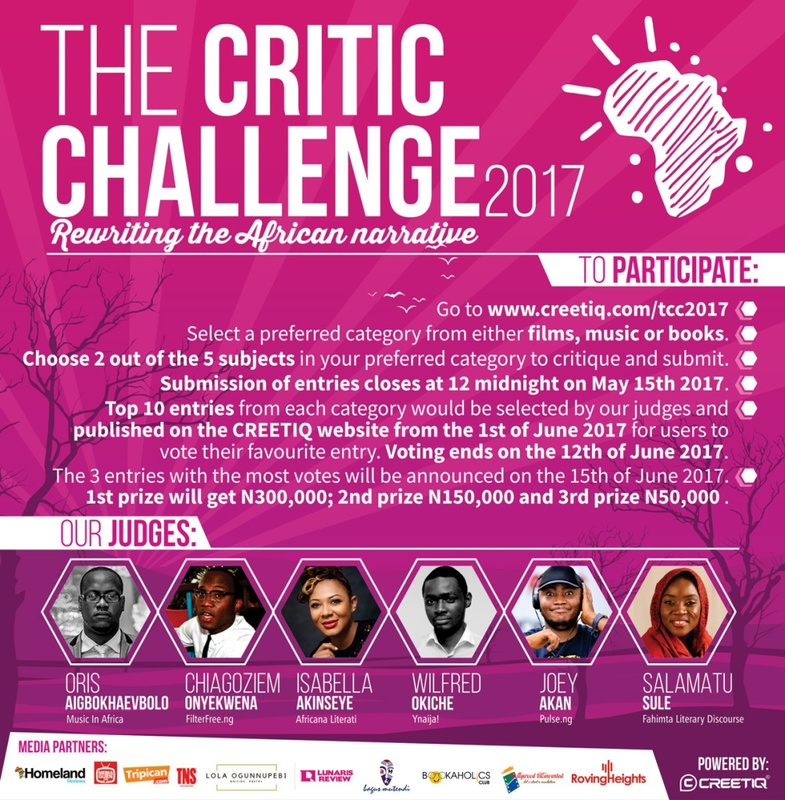 The annual Critic Challenge is a call for critics and critical writers in the culture scenes in Africa. It is organized for the first time by CREETIQ, the foremost review aggregator of African films, music and literature. 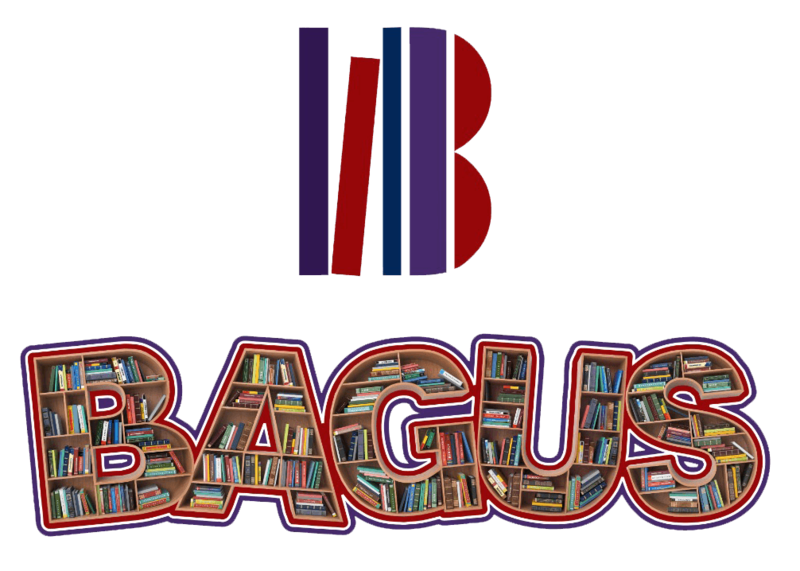 The spotlight for this maiden edition is focused on critical commentary on works of art in films, music and literature, produced or released between 2016 and 2017 that embodies this year’s theme “rewriting the African narrative”. The Critic Challenge aims to encourage and reward talented critical writers to awaken a seeming latent and fast declining reviewing culture in the creative industry in Africa. Beyond the economics of art, this sets a standard for the quality of creative and cultural output that is recognized globally and helps consumers of art and other creative works make informed decisions. The winning entries would be rewarded with monetary prizes of up to N500, 000. To enter for The Critic Challenge 2017, participants are required to go to https://creetiq.com/tcc2017 to submit a critique of 2 out of 5 subjects from the film, music or books category of no more than 850 words. 1. Clarity with regards to understanding the universe of the subjects. 2. Constructive criticism with regards to social political, cultural and economic discourse of the subjects. 3. Originality. Plagiarized entries would be disqualified. 4. Accuracy of language, historical references and facts. 6. Relevance of thematic expressions. Submission of entries closes at 12 midnight on May 15th 2017. The top 3 entries would be rewarded with cash prizes up to N500, 000. Winner would get N300, 000, first and second runners up would win N150, 000 and N50, 000 respectively. Entries for The Critic Challenge 2017 would be assessed and appraised by 6 renowned critics and industry professionals. Writer and critic, Oris Aigbokhaevbolo, whose writings on film, music and the literary scenes has appeared in the Guardian UK, The Africa Report, Chimurenga and who has mentored film critics at the Durban International Film Festival in 2015, is one of the judges of The Critic Challenge (TCC) 2017. Also among the judges is Chiagoziem Onyekwena, who has had a passion for music and tech in the past 10 years. He was the pioneering online editor of TheNET.ng and a former senior writer at the HipHop World Magazine. Other judges include Dr. Wilfred Okiche, a medic, reader, writer and film critic who has provided editorial assistance to the UK Guardian and whose writings has also appeared on various media nationwide; Salamatu Sule, the secretary, Board of Trustees, Orpheus Literary Foundation and the founder of Fahimta Literary Discourse (FLD); Joey Akan, music editor at Pulse Nigeria is a poet, author, and multi award winning writer and music journalist; and, Isabella Akinseye, founder of Yellow Tamarind Production, an African media company that creates, develops and monetizes contents for television, radio, online and prints. BM’s New ‘Lit’ Series Coming Soon!